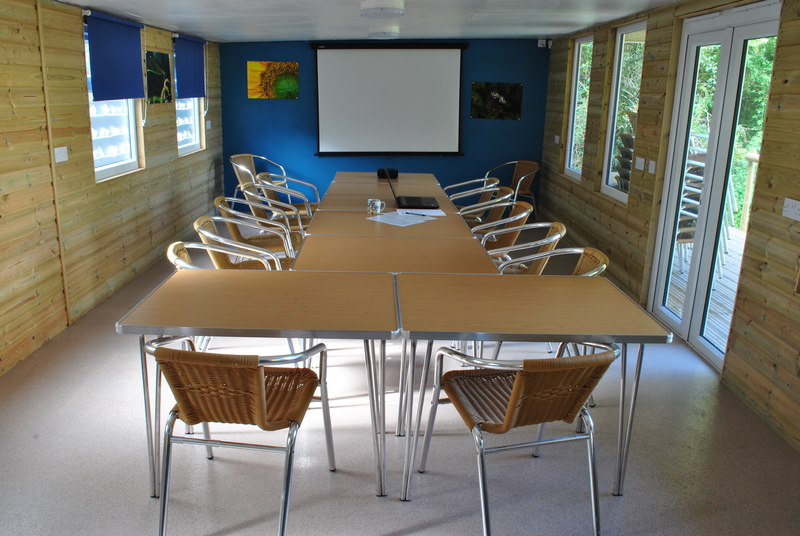 The Cabin is the name we’ve given to our new extension to the Field Study Centre, and it is intended for use as a multi-purpose function room. It has a veranda, and a view across the main picnic area to the chalk cliffs above Dragonfly Pond. For general day to day use, The Cabin will be an area where visitors can relax with a non-alcoholic drink and a choice of snacks, or with their own picnic food. A variety of drinks are available, including americano, cappuccino, hot chocolate and teas and soft drinks, as well as biscuits and crisps. Visitors are also welcome to make use of the selection of games available, such as cards, trivial pursuit or chess. 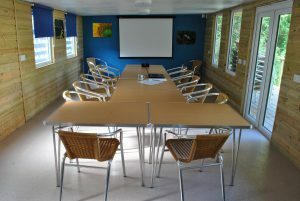 The Cabin can also be used for talks and presentations, a meeting room or as a classroom for visiting schools. 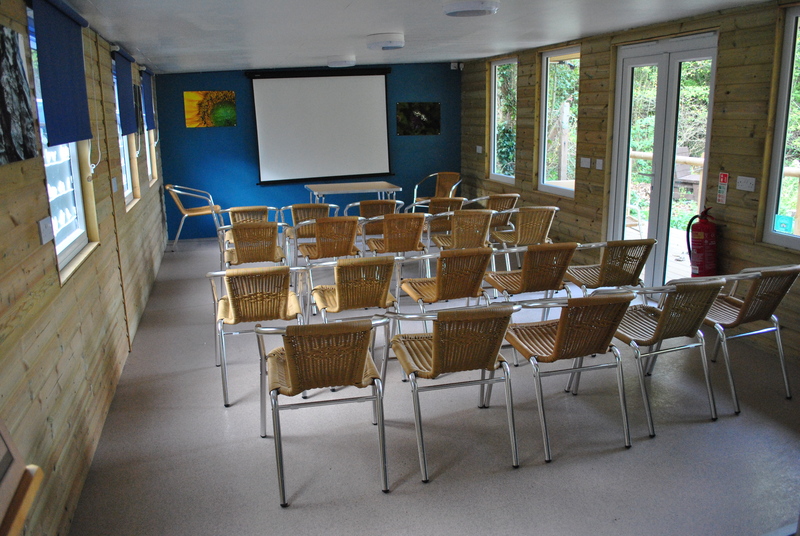 A projector and wall-mounted projector screen is available for use and the adjoining kitchen area can be used for refreshments. 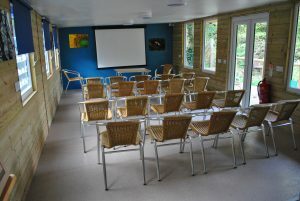 The room makes a lovely venue for birthday parties with access to the picnic area and the Reserve. And pre-prepared party food can be stored and served in the kitchen area. To find out the cost of hiring the The Cabin, please call the Reserve on 01843 822666, or contact us via email. 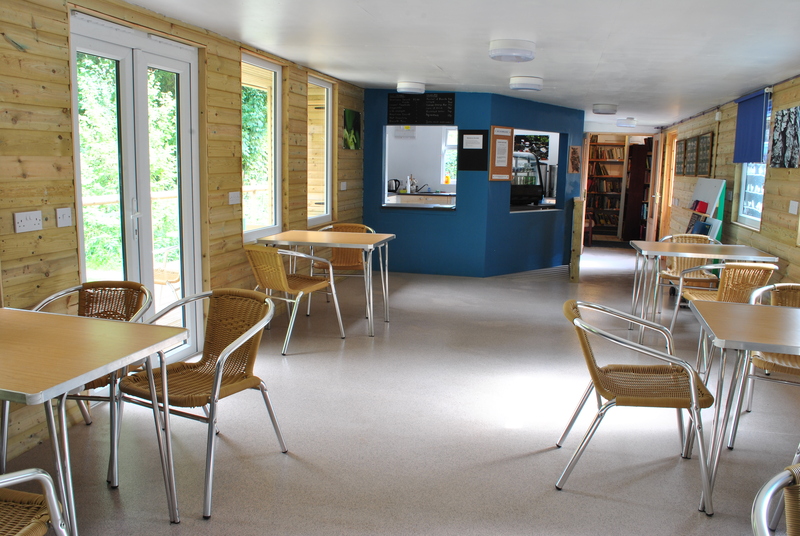 If you are interested in volunteering at the Reserve, perhaps helping out in the Cabin, then please go to our Volunteering Positions page and see what opportunities we currently have. You will also find a link to a volunteering form, which you can fill in online, if there are any roles you are interested in.